Friday 25th and Saturday 26th May 2018! Saturday 26th & Sunday 27th May 2018. The May Festival is for the all the family, so bring the whole gang for a weekend of fun and laughter! We like to keep Mum and Dad happy too, so most of our children’s events are free. Be sure to book your places early though, as they fill up fast! Look out for our drop-in activities and children’s entertainers too! Please note: All children and adults require a ticket for each ticketed event. When booking, please indicate how many adults and children will be attending. Children must be accompanied by an adult at all times. Join Spiderman and Princess Anna for 2 hours of fun! Tickets must be booked and paid for in advance. All profits to go St Andrews Church Playgroup, Inverurie. Description: Team GCCC return in 2018 with the next pop culture event featuring special guests, cosplay, retailers and independent publishers. GCCC is set to be a great day out for die-hard fans and casual geeks alike. That’s right folks, we’re levelling up to a city centre venue that will boast three floors of attractions, guests, cosplay, vendors, gaming, workshops, panels and much more. All this geeky goodness is fully accessible under one roof which is fully catered with access to 600 nearby car-parking spaces. Stay tuned to our Facebook and website for details as they are announced. Description: Officers from the Ellon Community Policing Teams, will be holding their annual ‘Open Day’ at the Ellon police station on Saturday 26 May, between 12.00pm and 4.30pm, which will coincide with the open day for the Scottish Fire and Rescue Service. Members of the public are invited to come along to our Bridge Street station where they will have the opportunity to meet with local officers and hear about the work of the Road Policing unit and the Police Dog Unit, as well as being able to tour the station, see the cells and have their fingerprints taken. Description: Grampian Pride is a 1 day event celebrating everything that is LGBT+ equality and inclusion. At the village, Site at Queens Links, there will be information stalls situated inside a marquee, fun activities including a youth zone and Trans area, bouncy castle, face painters, climbing Wall, Fire engines vendors for food and drink, a bar for over 18s and a stage where we will host 7 hours of exciting entertainment. See Facebook event for full list of stage times. 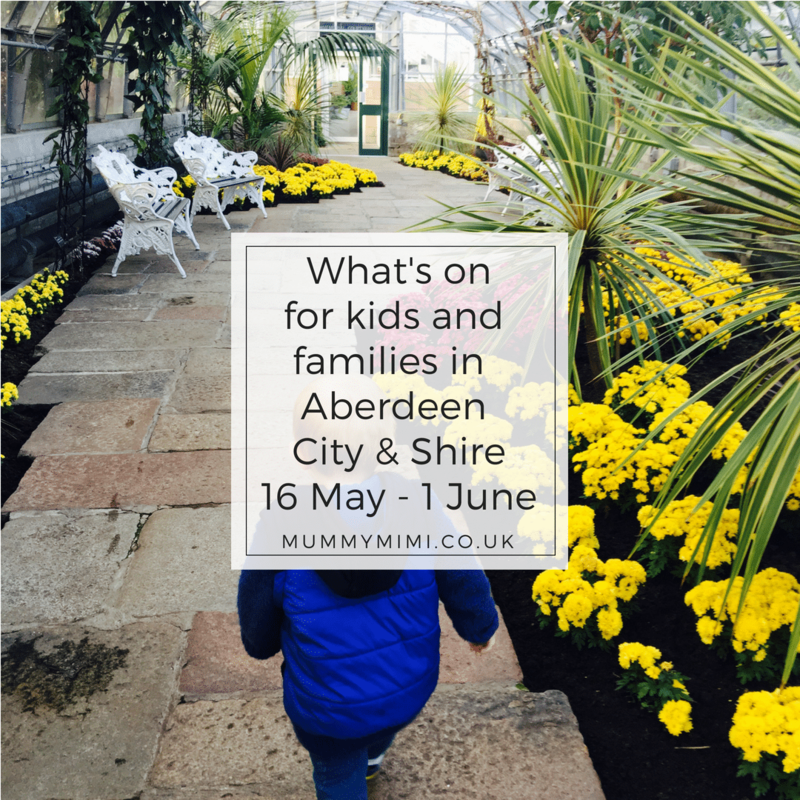 Description: An afternoon of family fun to help us raise money to support bereaved parents at Aberdeen Children’s hospital. There will be a family afternoon tea, stalls, games and a super raffle! Come along and have some family fun while supporting a great cause. Tickets: Adults £6, Child £3, Family (up to 5 maximum 3 adults) £15 under 1s are free. Description: Come and join the Rangers for a relaxing morning in the reserve’s young woodland creating some fantastic shelters and natural art, and making tasty hot drinks using an outdoor kettle. Meet at the nature reserve car park on Skene Road. 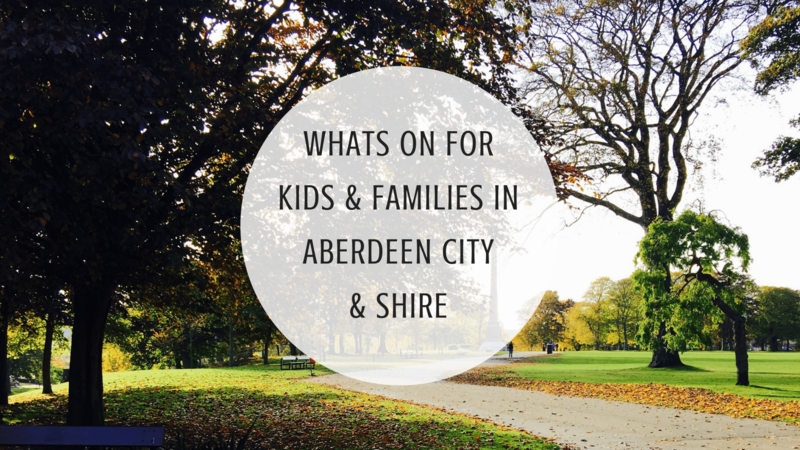 Booking essential – please call 01224 326 429 or email countrysideranger@aberdeencity.gov.uk to book your place. Description: It’s May – hooray! See Facebook event for full listing of May’s market stalls. Description: Join us for our first annual Bruadarach Fest. This is a family friendly festival that will be running in conjunction with The Coastal Fringe. We will be situated on Banff Castle Ground on the Sunday from 10am to 4pm. This is sure to be a great day out with something for everyone. We will have a traders market with over 50 local businesses. Various food vendors to cater for all you needs from Ice-cream and doughnuts to burgers to vegan options. We will have fairground rides, bouncy castles and slides, outdoor trampolines, zorbing, football shootout, face painting, balloon modelling, children’s entertainers performing throughout the day to keep them all entertained. We will also have an outdoor bar to keep the grownups refreshed. A chill out area will also be available for those wanting time away from the busy atmosphere. And to top it off local talent performing throughout the day on the main stage. All welcome. Near and far. Description: From bump to babe and beyond Stonehaven Baby Fair is your one-stop shop. Find out what is available in your local area. Description: The Junior Highland Games have landed at Castle Fraser! Come and enjoy this family day out with games for children aged 5-12, such as a haggis throw, log tossing, tug of war and a range of races from skipping to wheelbarrow. In total there will be 13 different games and races, all taking place in a large arena on our fantastic events field to the East of the Castle. The legendary Bruce Aitken who is a heavyweight world champion and Pete Hart who is an ex all-black we are helping throughout the days with the games. Throughout the day there will be bouncy castles, face painting and a range of stalls to sell goods. Food and drink will be provided by a range of suppliers. There will be a pet parade open to everyone so make sure your pets have been dressed to impress! and a fancy dress competition will also be judged on the day. The Pet Parade will be judged by Colin Slessor, Aberdeen & Northern Marts. Andrea Brymer from STV will also be doing a lot of the judging through the days events. To entertain yourself throughout the day there will be dancing form Gordon School of dance as well as pipe band performances and workshops. The event arena will open at 11 am and the games will run from 12 pm. For children (under 16) it is free to attend and Adults will be charged £3. Description: Family fun day at new deer show ground in aid of New deer parent and toddler group. Fun dog show with classes including fancy dress, doggy jumping and a puissance finale! There will also be face painting, bouncy castle, lucky dip, raffles, stalls and lots more – come along and bring your pooches for some silly doggy fun. Description: Div ye mind gaun tae the picters? Paying with jam jars? Saturday morning specials? Then this tour is bound to appeal! Meeting outside the old Odeon, Justice Mill Lane, which started life as one of Aberdeen’s many silver screens from the age of cinema, this tour takes you on a journey into cinematic history, recalling the early days to the high point of the 40s and 50s to the sad decline of our picture palaces to leave us with only four functioning cinemas out of a previous total of around 35. We can’t promise to cover them all, but the selection on the walk represents the Union St cluster of the city’s picture houses, ‘flechy’ or otherwise! Description: Join us for May’s bump club. Women’s Health Physiotherapist, Kate Garden will be telling us about Your body after birth and how to regain your strength after baby arrives. We will have the usual tea, cake and chat. We will have a demo of how to use the stretchy that comes in the baby box and some chat about reusable nappies from the NCT nappy library. £2 per person, payable on the door, partners/birth partners/friends and all very welcome to come along. If you have recently had your baby you very welcome to come along too.